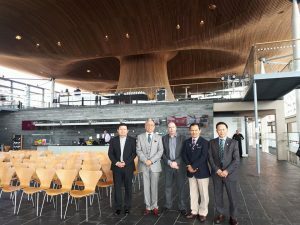 On 6th March, facilitated by the UKNFS, a ground-breaking educational fact-finding visit by UK Nepali community organisations (British Gurkha Welfare Society, and Sahara UK, with the UKNFS) to the Welsh Assembly, took place. This initiative is an important component of the larger UK parliamentary democracy educational initiative, facilitated by the UKNFS, on the proposal of Mr Ekendra Gurung (Advisor at Tamu Dhee Association UK), that commenced in November 2017, with a visit to the UK Parliament in Westminster. Reports on the learning gained through the Westminster and Welsh Assembly educational initiatives, will follow soon. 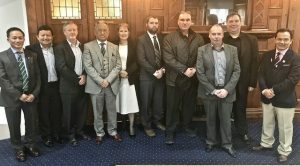 Following the Assembly educational visit, the Royal Hotel, Cardiff, was the venue for a set of important UKNFS enabled UK – Nepal trade announcements.